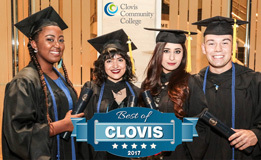 Clovis Community College offers a wide variety of career and technical training to help students meet their educational and career goals. 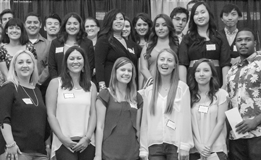 Training for careers in accounting, general business, marketing, retail, hospitality, or management. 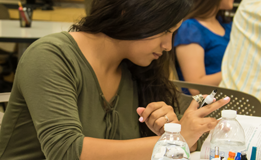 Training for careers in child care programs, home day care facilities, elementary schools, adult educational programs, creative arts and media, social services, or health related fields. Training for careers in law enforcement, such as a bailiff, correctional officer, criminal investigator, detective, police officer, or security guard. Training for a career as a graphic designer, photographer, music composer, or visual arts animator. Learn about the impact of music and visual arts in a personal, cultural and global context. The entrepreneurship program supports students and local businesses to help facilitate the launch of new startups and further the goals of established businesses. Train to understand essential biological and physical processes, analyze human/environment interactions, understand different cultural perspectives on the environment, build critical and analytical thinking skills. Career options include environmental consultant, environmental officer, and recycling manager. Provides the necessary skills for current industry employees to perform the food safety tasks that are required under the FDA FSMA regulations. Provides vital services to patients and practitioners in the healthcare industry in hospitals, nursing homes, and clinics. Basics of computers (hardware & software), troubleshooting, and maintenance. Overview of diagnostics, test equipment, information systems networking, and configuration. Troubleshoot and solve hardware, software, and network problems. Install and configure network operating systems. Prepare to take the CompTIA A+ Essential and A+ Practical Application exams. Obtain the skills to work as a technician maintaining electrical, mechanical, computer and control systems. Operate and maintain wastewater treatment facilities, solve problems and safety procedures, water mathematic calculations, flow and velocity in relation to the motion of water. Earn your certificate in two semesters. For more information call Counseling at 559-325-5230. 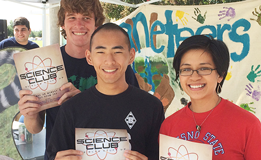 Download the printable CTE Brochure (PDF).